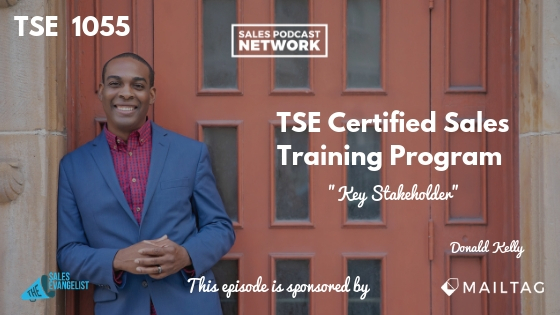 TSE 1055: TSE Certified Sales Training Program - "Key Stakeholders"
As you move closer to the end of a deal, you’ll likely encounter more objections, and identifying key stakeholders is the secret to overcoming those challenges. As you move into deeper conversation with the prospect, you may not realize that there are other people involved in the process, even if you aren’t directly interacting with them. Your job as seller is to find out who they are. Today we’ll help you understand who those key stakeholders are, how you should work with them, and how you can prepare for the process. Imagine you have an initial conversation with someone who is interested in your lawn care business. You generated some interest and they expressed a desire to know more. You’ll naturally address how you’ve helped other people in the past and take other steps to build value. At this point, you’ll want to find out who else will be involved in this conversation. Typically, though, sellers neglect to ask that question. Ideally, you should find out whether the prospect has made a decision like this before. If so, has it been a long time? You do this kind of work on a day-to-day basis, but the prospect doesn’t. He needs guidance, and you can help him move forward. Instead of asking whether he’d like to invite others in, I would simply ask him who he would like to invite into the conversation. He might identify the CFO or the decision maker. Next, I would point out that, in order to make sure the next meeting is as valuable as possible, I’d like to know whether I can connect with some of those stakeholders to find out what they’d like to hear. If he has an objection, reframe the request so that he’s the one making the contact with his stakeholders on your behalf. Keep him involved in the process so he feels comfortable. The first stakeholder is your decision maker. 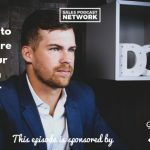 He tends to be the person that sellers most often keep their eyes on because he’s the one that will do the final sign-off. But he may not get involved until later in the process. The decision maker may expect the influencer and the champion to do all of the hard work. Second is your influencer or the person who has the ear of your decision maker. She may be the right-hand person of your decision maker, or she may just be someone who has a connection with him. In some companies, this may be an administrative assistant, and sales reps must be mindful not to overlook these people. These executive assistants often wield much influence with the leadership. My wife worked in a similar position once, and her recommendation often depended on how the sellers treated her when they called into the office. End users are the people who will use the product or service you’re offering, and they’re the ones you’ll likely interact with the most. We must make sure that they understand us and that we understand them. The buyer will sign the check to close the deal. If he doesn’t like the deal, he will likely have key influence in it. The champion is the person who likes you and who brought you into the fold. She invited your team to consider the possibility of hiring you. We recently did an entire episode about the importance of the champion. The discussion centered around the fact that sellers often focus so intently on the decision maker that they neglect the champion. In actuality, though, the champion is the one that you’ll interact with the most, and he’ll be the one that has the most interaction with his team. He’s the one that wrangles the group through the decision-making process. He’s the quarterback, but he must have your support in order to succeed. If he doesn’t have it, he may lose the desire to champion your cause. The dark night doesn’t necessarily have interest in your product or service. He’s usually the member of the organization who is a little bit apprehensive, and it’s in your best interest to discover who he is and why he is a dark knight. The champion, of course, is your white knight. He will tell the company why it should hire you. He believes so strongly in what you have to offer that he’ll work to sell you internally. The white knight will likely recognize the dark knight, so you can ask him who it is and what his concerns are. Gather as much intel as you can about the dark knight so you’ll know how to address his potential objections. Make sure you have a conversation with the dark knight prior to the meeting. Present information to Doug that addresses those concerns and ask him during that conversation whether there is anything specific he’d like to see in the presentation. In some cases, the dark knight will be the person who made the previous decision and whose decision is potentially being undone by your company. Make him part of the process and compliment the work he has done. Add on to the value and break down the existing barriers. When you give the demonstration, you’ll be more effective because you took the time to identify these characters. If you’re not familiar with the TSE Certified Sales Training Program, it’s a program designed to help brand new sales reps, as well as those who have been selling forever. The 12-week module offers videos you can watch at your own pace, as well as the option to join a group discussion. We address three topics: finding, building value, and closing. It’s amazing and it’s fun!